The world is a dangerous, challenging, chaotic and frustrating place right now. Of course, as good people and dedicated citizens, we all spend our time engaging in the good fight. But sometimes you need to unplug, relax, and enjoy the simple pleasures available to us. You know, ease your mind a bit. 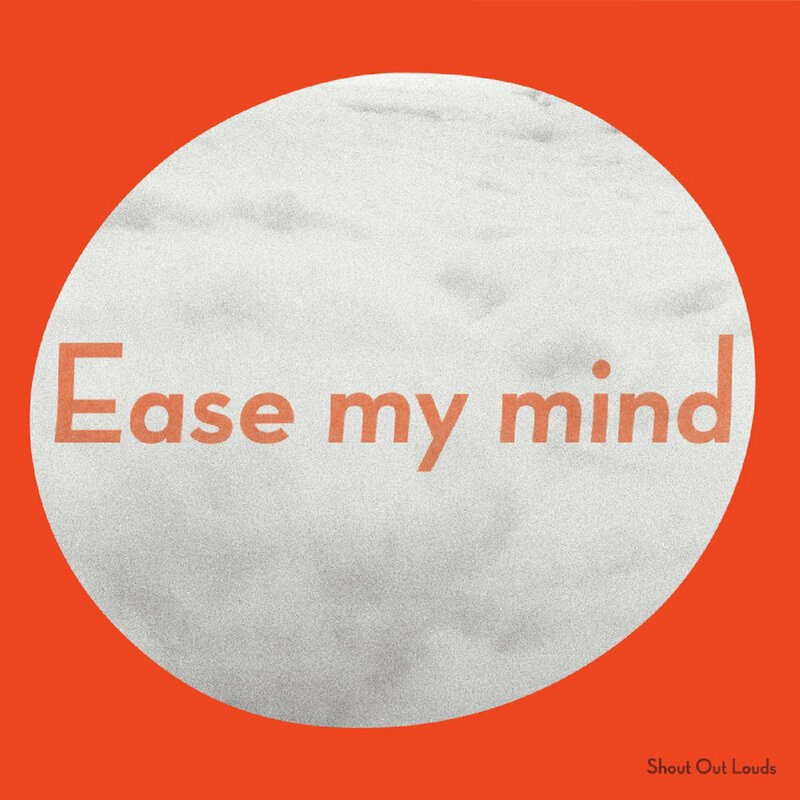 Well, Sweden's Shout Out Louds are ready with our soundtrack for appreciating the good things. Press play on the aptly-named Ease My Mind and enjoy your family, drive to the shore, take a walk crunching through the leaves on a sunny autumn day, or give your partner a cuddle. Did I write "or"? Go ahead and do them all -- the album runs about 45 minutes but it is the kind of soundtrack that you won't mind hearing throughout the season. The songs here are fully fleshed out, with robust arrangements and confident vocals. The performances are tight, and repeated listens will reveal an appreciated attention to details in the soundscapes. As is appropriate for an album focused feelings, and mostly good feelings, the hooks are plentiful and reach for the stars. And while the Shout Out Louds are a band that doesn't mind rocking out a bit, the classic gloss of Swedish pop is in evidence as well. Take this album on its own terms, and you'll find it giving you an abundance of pleasure, demanding nothing of you other than your ears and a desire to ease your mind. Shout Out Louds are Adam Olenius, Ted Malmros, Eric Edman, Bebban Stenborg, and Carl von Arbin. Ease My Mind is out now via Merge Records.